As spring arrives and everything around us starts blooming, not one person can remain untouched by the wonder and beauty of Mother Nature. However, for many unfortunate people spring brings not just enjoyment and happiness but also seasonal allergies. In a nutshell, allergy is an adverse reaction of human immune system to foreign substances (called allergens) which can lead to many symptoms ranging from coughing, sneezing, runny nose and scratchy throat to hives, difficulty breathing, drop in blood pressure, and even anaphylactic death. While people can suffer from different kinds of allergies (food, pets, latex, drug, insects, etc. 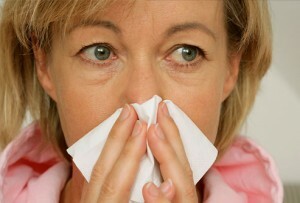 ), seasonal allergy is the most prevalent kind. In fact, as many as 40 million Americans suffer from seasonal allergies; and the number keeps growing due to such factors as climate change and environmental pollution. The effect of having so many people suffer from seasonal allergies is widely felt across the nation. According to Asthma and Allergy Foundation of America, the direct annual cost of allergies is about 14.5 billion dollars due to the cost of visits to doctors’ offices, money spent on medications, and missed work or school days. As National Academy on Aging Society demonstrates, seasonal allergy is the 5th leading chronic disease in USA and leads to 700 million dollars cost in lost productivity each year. Regrettably, there is no cure for allergies to airborne tree, grass, weed pollens and mold spores. However, these seasonal allergies can be effectively managed. One of the most successful treatments is immunotherapy which involves allergy injections that gradually desensitize immune system to specific allergens. At the beginning, a doctor identifies specific allergens affecting a patient by conducting prick or scratch test which shows exactly what kind of injections a patient needs. Afterwards, a patient receives allergy injections (at first once or twice a week for about 4-6 months, later once or twice a month for maintenance). The dosage is gradually increased to desensitize a patient more effectively. The downside of immunotherapy is that is takes a long time (usually, about 3-5 years), requires frequent doctor office visits, and cost (if medical insurance does not cover the cost of treatment, it can become prohibitive for many people). There exists an alternative option of rush immunotherapy which requires a patient to receive 4 shots daily at one hour intervals during first 5-10 days to reach a maintenance level, and then move to weekly, biweekly, and monthly injections. Many people react very well to immunotherapy and alleviate their symptoms to a great degree. It is especially true for children because the benefits of this treatment can be felt for many years to come. In addition, there are a lot of medications, both prescription and non-prescription, available for allergy sufferers. A doctor can help to determine what particular medication will be most effective for a specific patient and in what form (nasal sprays, pills, or eye drops). And of course, people affected by allergies should employ simple preventative measures. For example, one should try to reduce exposure to allergens by avoiding being outside on particularly warm and windy days, delegating outside shores to others (or at least wearing face masks when working in the garden or mowing), and changing clothes and taking a shower after being outside, etc. Also, some steps might be taken at home to decrease allergies such as using high-efficiency filters in air-conditioning units, HEPA filters in vacuum cleaners, and HEPA filtered dehumidifiers in bedrooms. Moreover, one can purchase allergy free bedding, widely available in stores and on-line, to alleviate the symptoms. Given the sheer number of people suffering from seasonal allergies and an impact they have on economy, it is clear that allergies are nothing to sneeze at! Fortunately, there are options available to help allergy sufferers which will let them enjoy their lives to the fullest.